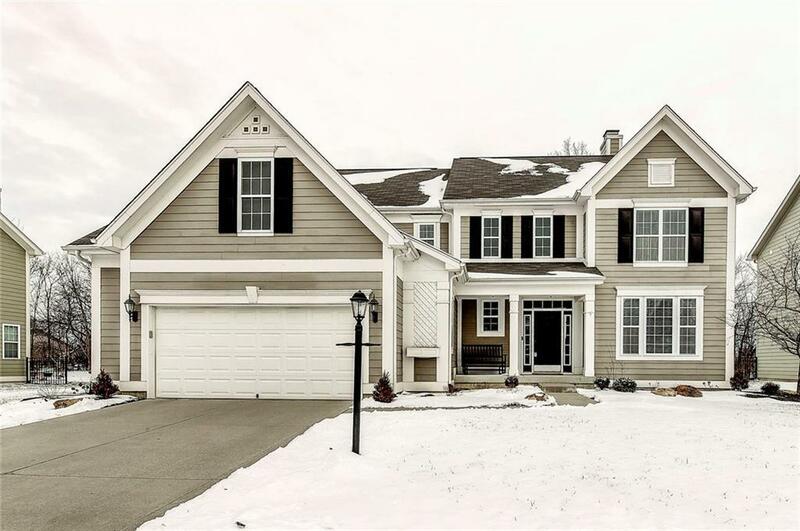 Beautiful Estridge built home w/ finished basement, loft & 4 BR. Gorgeous 2-story entry & gleaming hardwood floors. Fam rm w/ dbl sided FP, blt in shelving, arched doorway & open to kitchen. Office on main w/ crown molding, wainscoting & FP. Kitchen has gas range, granite, ceramic bksplash, staggered cabinets, SS appls, & extended WI pantry. Lovely MBR w/ tray clng. MBA w/ sep shower, garden tub & WI closet. Guest BR w/ sep bath entry. Enjoy the deck & private outdoor entertaining kitchen: Granite & stone finish bar w/ under mount lights, SS outdoor rated refrigerator, grill & kegerator. 9 ft ceilings on main & basement. Spacious laundry & mud rooms. Tree lined fenced bkyd. New landscaping/trees. Garage has two 4 ft. bump outs & shlvng.